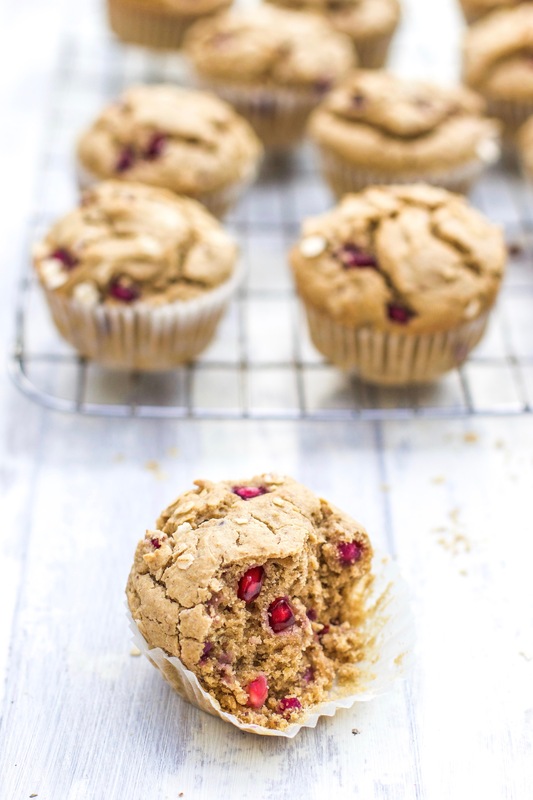 These pomegranate muffins are so gorgeous- the pomegranate adds a lovely pop of colour and freshness. The muffin is light on the inside and crisp on the outside, it’s almost a muffin scone hybrid. If you love blueberry muffins you have to try these! Mix together the ground flax and water and set it aside. Stir it every few minutes until it’s the consistency of a raw egg. Preheat the oven to 180’C. In a medium bowl, mix together the flax mixture, melted coconut oil, maple syrup, vanilla and nut milk. In a large bowl, combine the oat flour and baking powder and mix well. Gradually pour the wet mixture into the dry, while mixing. When it’s all combined, stir in the pomegranates. Fill your muffin cases and bake for 20-25 minutes until golden and a cake tester comes out clean. These look great! 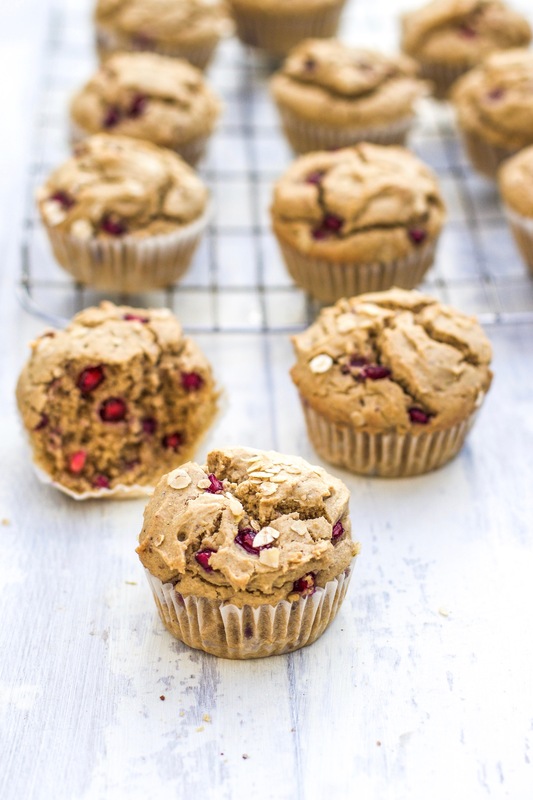 Can i substitute Quinoa flour for Oat flour? Can I check is oat flour ground porridge flakes? Thanks can’t wait to try these ! I’ve made these twice now and the mix turns out so thick and lumpy it’s hard to put into the muffin cases. It also doesn’t rise much nor does the middle cook properly. How do I make them fluffy like yours? The only thing I’ve done differently is use normal oats which I’ve grounded myself in food processor. And I used a mixer.